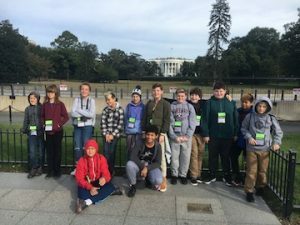 Each year, New School Montessori 6th graders visit Washington D.C., its monuments, museums and sights as they travel by plane and public transportation with teachers and chaperones. 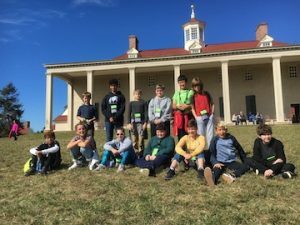 Students try new foods, learn to budget their meal and souvenir allowance and enjoy the thrill of our nation’s capital. 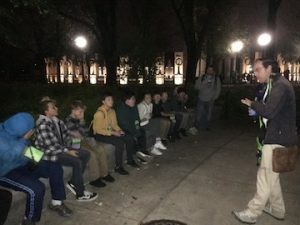 This year, students took a night tour of the D.C. monuments, walked to the White House, the Holocaust Museum and the Bureau of Engraving and Printing for a tour. 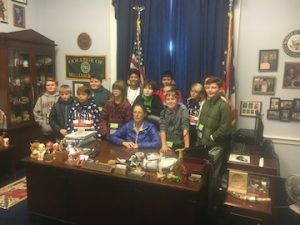 They visited the Smithsonian, Mt Vernon, Steve Chabot’s office, the Capitol building and more. 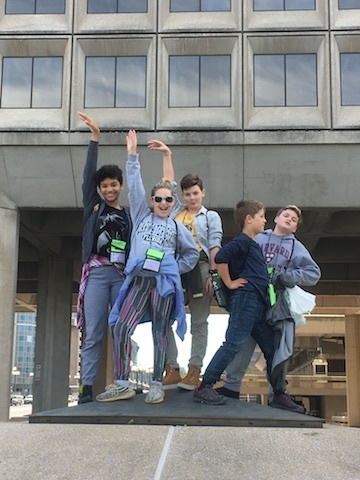 As seen in the picture above, students even created a live monument of their own by posing on a pedestal. 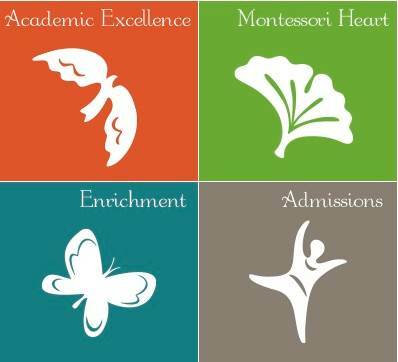 Fostering independence and self reliance is an important tenet of a Montessori education. 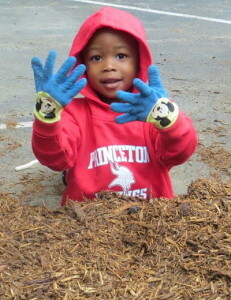 Throughout the 9-year experience at TNSM, children are given many opportunities to explore and practice these life skills. In preparation for their trip, students presented research projects on the historic sites they’d visit, studied the transportation system and got familiar with maps. Teachers and parent chaperones are always with the children, but as much as possible, students find the best route to the next attraction.